A Wembley man has been sentenced to 120 days in jail less time served on four of six charges against him following a traffic stop in 2018. On November 22nd, Trent Douglas Hockett was pulled over near 116 Avenue in Grande Prairie. 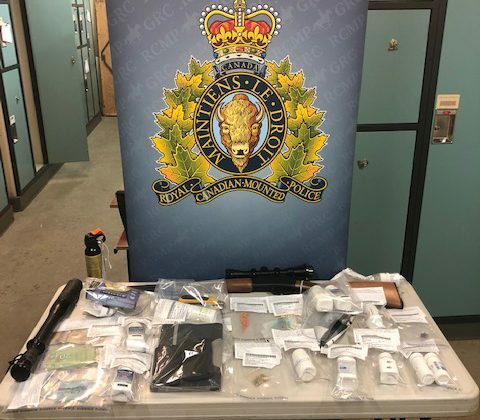 While officers were searching his vehicle, they say they found a gun and ammunition, around 1567 prescription pills, various weapons including bear spray, knives and a baton as well as $3,010 in cash. Hockett was originally charged with possession for the purposes of trafficking, possession of stolen property and four counts of failure to comply with release conditions. The trafficking charge, as well as the possession of stolen property charge, were withdrawn. Hockett received 120 days less time served for each of the failure to comply charges.